Buying a home is one of the most important investments you'll ever make, so it's worth taking the time to ensure you're comfortable, confident and prepared to make it count. PROPERTY NEWS - So, you've reached that age when people around you are starting to give you speeches about settling down, putting down roots and becoming a responsible adult and homeowner. Given that you've probably been renting since your early twenties, the idea of not putting half your paycheck into someone else's pocket every month might be an attractive idea, but have you really thought about what it means to be a property owner? "Owning your own home - whether it's a bachelor flat or a mansion - is an extremely rewarding experience, but it's not all sunshine and roses," says Tony Clarke, managing director of the Rawson Property Group. "It's a huge financial and lifestyle commitment that is not without its sacrifices, so I always recommend newcomers to the property market to take some time to think through their decision before leaping in." The first thing Clarke suggests thinking about is how stable your life really is, and where you're going to be in five to ten years' time. "Property is a long-term investment - buying and selling just a short while later is a very easy way to lose a lot of money," he says. 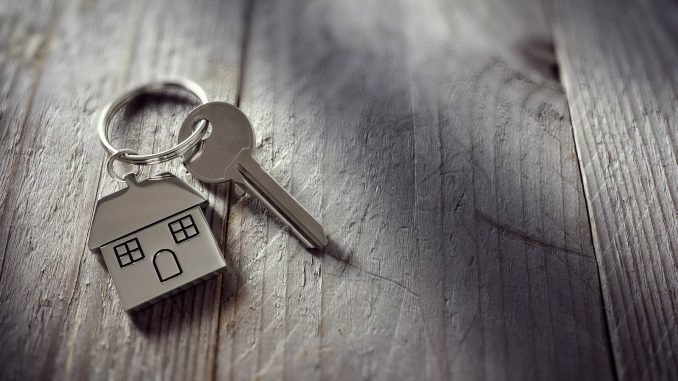 "There are a few exceptions to this rule - usually in the case of off-plan investment purchases - but generally, you need to be ready to live in your property for at least five to ten years." For many of us, planning anything more than six months in advance can be a challenge, so working out the likelihood of changing jobs, moving countries, having children, getting married within the next decade is a daunting task. Thankfully, Clarke says you don't need to nail everything down 100% - just keep the most likely possibilities in mind and provide for them as best as you can. Secondly, Clarke advises prospective first-time buyers to get comfortable with their finances. Sure, you've had financial commitments before, but paying a bond is a little different from paying rent. "I think very few people who've never owned a property fully grasp the costs involved," says Clarke, "and I'm not just talking purchase price and all the associated fees. It's rates, taxes and levies, which go up on a regular basis; it's ongoing maintenance to keep things in good shape; it's insurance and emergency repairs; and a thousand other small extras." While these costs aren't always dramatic, they are unpredictable, which makes budgeting a much more complicated task than for a rental. The risks are also far greater if you fall short of your financial obligations, so Clarke recommends being very certain of your ability to manage your personal finances before buying a property. The good news is, getting into the habit of responsible financial practices is a great way to polish up your credit rating before applying for a bond - a positive outcome whether or not you decide to go ahead with a purchase. It'll also help you save up for a decent deposit - something Clarke suggests you start long before you begin a property search. Preparing for a property purchase isn't just a financial process, however. Clarke says you need to be emotionally ready - and committed - before buying a home as well. "You need to accept the fact that you're not going to have as much expendable income for a few years after your purchase, and it's not going to be as easy to just pick up and travel, for example. If you can, it's a good idea to try to tick off a few of your bucket list experiences before you commit to home ownership, so that you don't feel like you're missing out down the line."